If you are a landlord looking to let out your residential property in the Edinburgh area we are the family run company for you. We offer a personalised property management service which can be tailored to suit your own individual property requirements; our ultimate goal is finding the right tenant for you, therefor giving you peace of mind that your residential properties are being excellently managed in our safe hands. It includes – Information on obtaining the essential safety certificates, information about the tenancy agreement, inventories and the screening process. As members of the F.S.B The Federation of small businesses, and L.A.S.Landlord Accreditation Scotland, we are regulated to the very highest standards with strict guidelines insuring we keep up to date with any new legislations. If you are a prospective tenant looking for a flat to rent in the Edinburgh area we are the family run company for you. We offer a personalised residential agency service with great attention to detail so that you the tenant can find the perfect flat that suits all your individual requirements whatever your budget. We will offer you the best selection of quality flats or houses to choose from. We hope to make your search a simple and very easy process with no fuss or complications by taking the time to listen and understand what you want and what you need. We will help guide you through the complete process which includes preparing the tenancy agreement and a detailed inventory before your tenancy begins, therefor helping make your move a pleasant and stress free one. 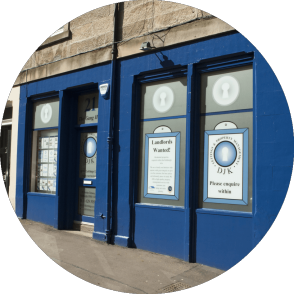 Welcome to DJK Lettings LTD. We are a family run Edinburgh letting agent and property management company providing a personalised residential property management service which can be tailored to suit your individual needs. Our aim is to give you an excellent customer care service with the added personal touch to insure that all your residential property requirements are catered for, whether you are a Landlord or a Tenant.